These fantastic discovery toys are great for sparking off boys and girls imaginations! 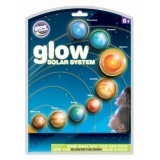 Unusual science kits for experiments, Grow Your Own seed kits, glow in the dark stars - all designed to satisfy their curiosity. It's a projector! It's a flashlight!